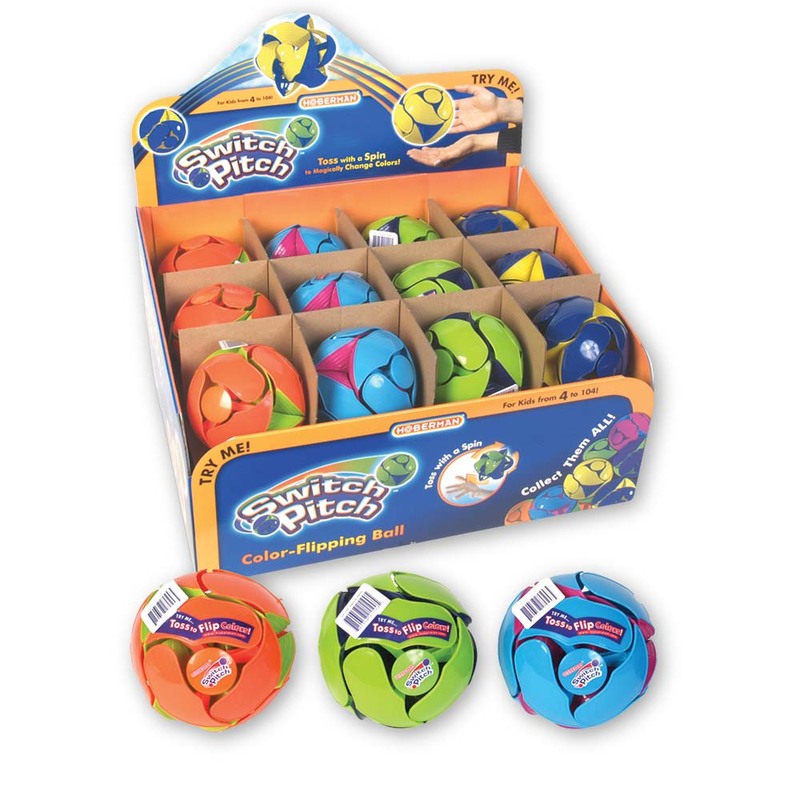 Hoberman’s Switch Pitch balls are handheld, magical color-flipping balls that are fun to toss around or try to juggle with three! Toss it in the air and see the colors magically flip. Hours of fun for young and old. Kids are fascinated with the magical way Switch Pitch opens to reveal new colors. Hours of fun for young and old alike.